Are you someone who likes so do a lot of DIY projects around your home? If you have a garden in your backyard that being invaded by deer or other animals, then an enclosure might be needed. You can easily build a garden enclosure using the proper supplies. The best thing about a garden enclosure is you can build it any size you want. This is a great option for a raised garden bed or for various containers. The key to this project is using wire mesh or screen as the structure needs to allow light to reach your plants. 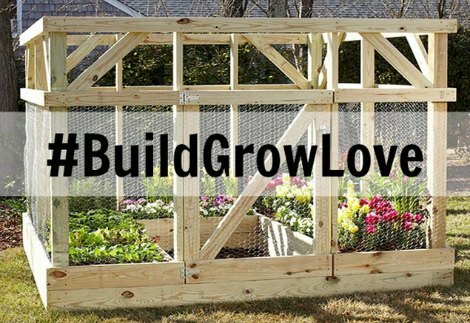 Building a garden enclosure is almost like building a shed on your property. The only difference is you are not adding a roof to the structure. However, you do need a working door. You can also modify an enclosure if you have something you want to add.